Editor’s note: The team here at SemiAccurate is always looking for more in-depth information and coverage of the changes within the technical industry. We’re happy to see support and a push for developers to be involved and educated about the latest changes. This means they can build a better product for us, the end users, and our readers. Towards that end S|A is partnering with AMD to offer you continuing updated information about the AFDS. We will be updating this link with more information through the AFDS June 13-16, 2011 in the lovely, and likely rainy, Bellevue, WA. While all the buzz in personal computing recently has been over tablets and smartphones, the computing industry is quietly undergoing a revolution bigger than any change since the semiconductor was first introduced. This revolution is driven by growth of heterogeneous computing, the emergence of the Accelerated Processing Unit, and the growing acceptance of common industry standards like OpenCL, which allow developers to easily harness the CPU and GPU power computers offer. This revolution promises to radically change the PC experience for years to come, and reshuffle the computing industry landscape, crowning new winners and losers. With that backdrop in mind, AMD is hosting the inaugural AMD Fusion Developer Summit (AFDS), which will be held June 13-16, 2011 at the Meydenbauer Center in Bellevue, Washington. The only conference dedicated to furthering heterogeneous computing, AFDS will bring together industry and academic experts from around the world in an open, collaborative, interactive environment to share expertise and network with developers eager to unlock previously unimaginable computing power to benefit their applications. The AFDS will include numerous educational sessions from the world’s pre-eminent developers and researchers in a variety of formats, including hands-on labs, tutorials, technical discussions, and keynote presentations. Nearly 100 sessions will be held to address various topics at AFDS, including topics as diverse as 3D gesture recognition for video game control, improving performance by using ‘Zero Copy’ techniques in APIs such as OpenGL and OpenCL and real-time video processing for broadcast use. This video provides more detail on some of the sessions from AMD experts. In his keynote, “Heterogeneous Parallelism at Microsoft,” Herb Sutter, Microsoft Principal Architect, Native Languages will showcase upcoming innovations to bring access to increasingly heterogeneous compute resources directly into the world’s most popular native languages. Jem Davies, ARM fellow and vice president of Technology, Media Processing Division, will deliver a keynote about ARM’s support of OpenCL development standards. Phil Rogers, AMD Corporate Fellow, will present a keynote called “The Programmer’s Guide to the APU Galaxy,” in which he will discuss how AMD is working to ease the programmer’s access to the increased levels compute horsepower available in Fusion APUs and dramatically expand the processing resources available to modern applications. Two New AFDS Keynotes Announced! Hear about the technology the industry is converging around in the AFDS Keynotes. Visit the AFDS Keynotes page for complete abstracts of all five keynotes. Jem Davies, ARM Fellow and Vice President of Technology, Media Processing Division, ARM, will deliver a keynote about ARM’s long history of heterogeneous computing, its future strategy, and ARM’s support of standards, including OpenCL™. Graham Brown, Corel CTO, will present Corel’s decision framework, offering insights into how you can create your own optimization strategy and framework. The AFDS will cover a broader array of topics related to heterogeneous computing than any other conference out there and will be a rare opportunity to gain in-depth knowledge around the future of heterogeneous computing. If you are interested in joining other like-minded technologists, you can find more information at the registration page. 1) Developers interested in the latest heterogeneous computing tools and training can register for AFDS on the event website and take advantage of a low registration fee of $300. 2) AMD Fusion Developer Summit session speakers discuss their AFDS sessions. 3) Session Catalog is Live! Register Now. Visit the Session Catalog to learn details on all 90+ sessions, the Pre-Summit Tutorials, hands-on labs, and all five AFDS Keynotes. 4) Manju Hedges looking quite professorial in his explanation of the fun to be had at AFDS. Do you ever have days where you’re so bored with your work you just want to run away and put a SSD in a new laptop. You know, because you feel like it? No? Are you sure? I’m sure having one of those days. 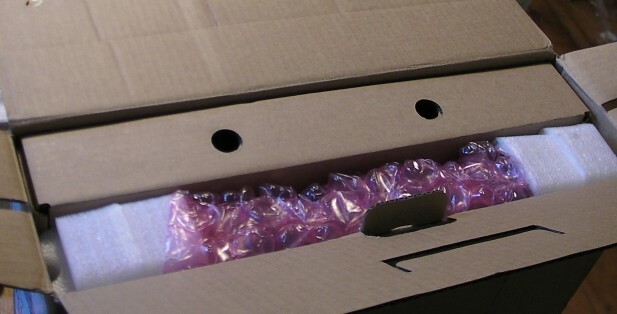 You mean that pink bubble wrap and fresh smell of cardboard just doesn’t get you going?